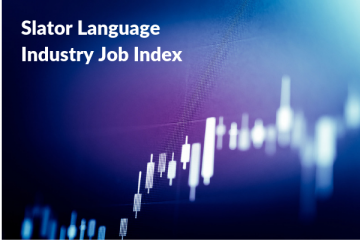 The Slator Language Industry Job Index (LIJI) was developed for the purpose of tracking how employment and hiring activity is trending across the global language industry. In its fifth month, December 2018, the Slator Language Job Index (LIJI) jumped to a new high of 104.02, up 3.17 points from the month of November. The baseline is taken to be July 2018 (100) and is used as a starting point from which to measure expansion or contraction of employment and hiring activity across the industry. The index has fluctuated over the past few months, increasing slightly from July to August 2018, falling marginally in September 2018, climbing by two points in October 2018 and declining slightly in November 2018 to 100.85. The upward trend in December was reflected across almost all of the indicators used for the LIJI, including the number of profiles on LinkedIn registered under the Translation and Localization category and the number of profiles returned using the keyword search. However, there was a slight decrease in the number of job postings listed on some of the job aggregation sites that Slator monitors, and among Slator LSPI companies, which mitigated the overall increase for the month of December. Observational data relating to activity across the language industry in November 2018 shows a buoyant market across the globe both in terms of M&A, company financial results, and hiring. On the M&A front, Canada’s OXO Translations acquired Ccaps, Sweden-headquartered BTI Studios acquired a dubbing studio in Germany, Poland’s Summa Linguae bought Swedish LSP Kommunicera, and three German companies formed new LSP T-Works, backed by private equity. In the UK, ZOO Digital posted H1 sales of USD 14.9m an increase of 17% vs the previous year, while Alpha CRC posted a slight decline in revenue in 2017 but a return to profit after a loss-making 2016. And thebigword inched closer to the USD 100m revenue mark for 2018 and announced a jump of 28% for the fiscal year ending May 31, 2018. Elsewhere, the half-year revenues for Japan’s largest LSP, Honyaku Center, climbed 16.6% to USD 50.09m. In November 2018, Slator reported senior hires at ZOO Digital, XTM, Lingo24, and Locaria, as well as Aglatech14, Global Lingo, ONCALL, Metafraze, and CyraCom. 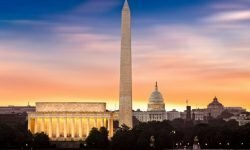 In the US, the Department of State is renewing a contract looking for 1,000 linguists to support to the nation’s diplomatic and foreign affairs activities. Slator LIJI relies on LinkedIn for a substantial part of the underlying data. The site has some 500 million users, many of whom share data about their skills, experience, location, company and job title on their personal LinkedIn pages. The site has over 600,000 profiles under its Translation and Localization category and a search for the keyword Localization also yields over 600,000 profiles.